Amazing way to underline your individuality. We see a white T-dress completed with a wide-brim black hat. 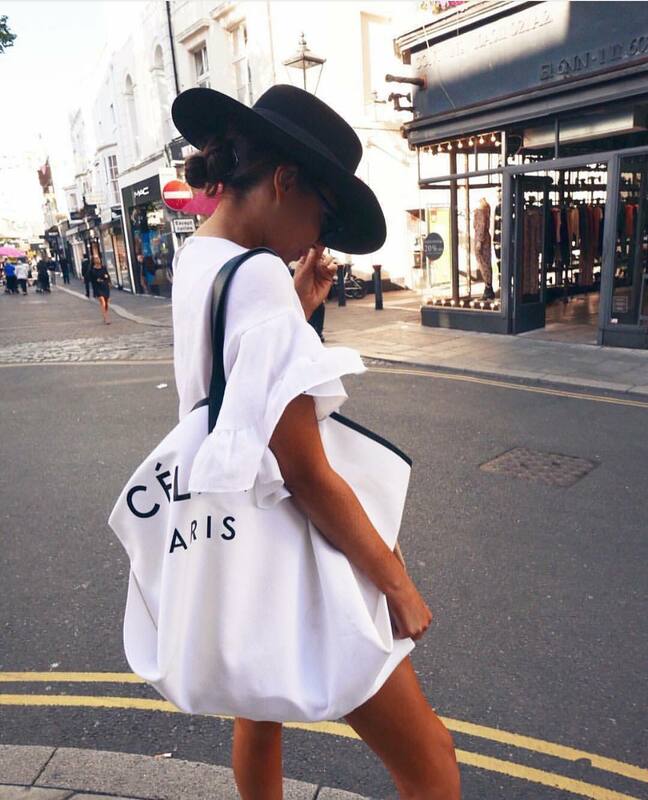 In love with this white oversized tote bag. You definitely should give this outfit a try. It’s a perfect look for street walks during your stay in London. Beautiful summer look for ladies who want to keep things simple. We see a white tee tucked in cuffed denim shorts. It’s a simple, relaxed and ladylike outfit. Complete it with cool shades and a tote bag. Go bold this Summer by wearing a wow effect white combo during your vacation. Here we see a two-piece outfit that features a white shirt and high-rise white shorts. Complete it with a wide-brim straw hat, mirrored rounded sunglasses, and black leather gladiator sandals. In love with that oversized white tote bag. 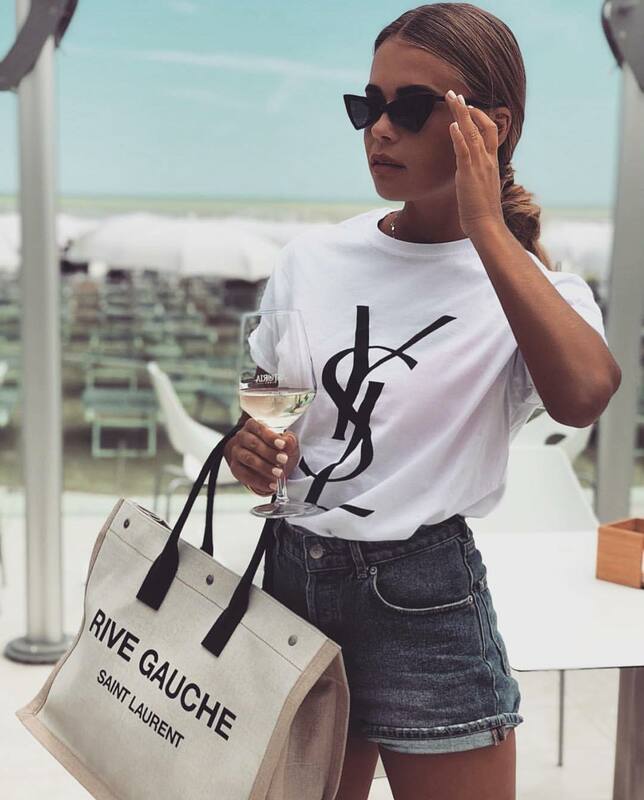 We see a pretty simple beachwear combination that consists of a white T-shirt tucked in blue denim shorts. Complete this combo by adding black cat-eye sunglasses and a casual tote bag.